1) From Tadasana, bring your arms out to the side and up. 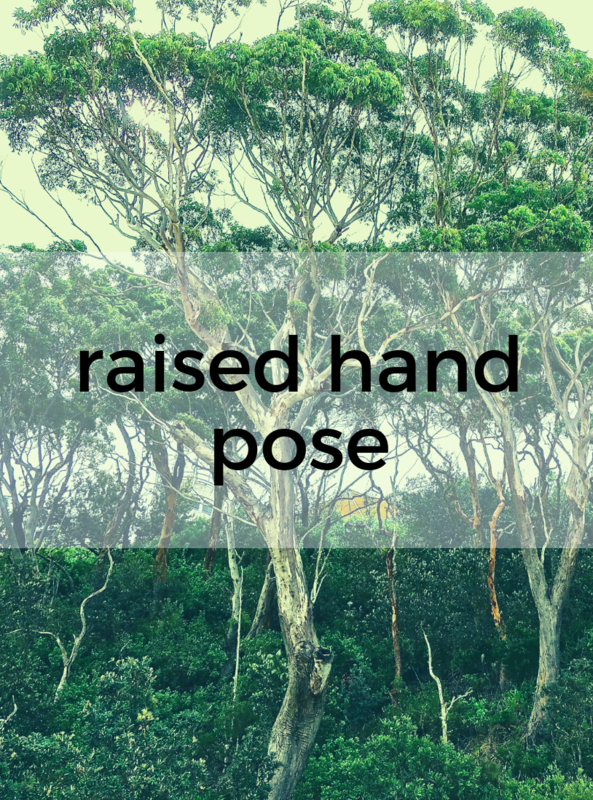 2) Press the palms together, keep the arms straight and take the gaze up toward your thumbs. 3) Slide the shoulder blades down the back. Practice the pose with your back to the wall so you can feel the alignment. Place a block between the thighs, squeeze it and roll it slightly backward to feel the engagement and rotation of the thighs.